My husband is one of the people who preferred the latter definition, and when I told him that a friend of mine was practicing EC with her newborn, he asked me to either stop talking to her or stop talking to him. He thought it was ridiculous, impossible, and absurd, and that it would create a barrier between him and our son, since he never thought he would be interested, much less successful, in learning any supposed cues for pottying. That’s why they make diapers, he insisted: for babies to pee and poop in. Sensing this was going to escalate into a fight, I decided to start quietly observing our first son’s behaviors when he "went potty." I read "Diaper Free Baby" by Ingrid Bauer, I talked to my friend every day to report on our progress, and remarkably, a pattern emerged! By the age of 10 months -- before our son could crawl, walk, or talk -- he signed reliably when he had to use the potty. By 12 months of age, he stopped peeing in his cloth diaper. By 17 months he was wearing tiny underwear and, now almost 6, he has no conscious memory of ever pooping in a diaper or of wearing diapers at all. After this dramatic 9 months, my husband was a believer. He became the most unlikely of supporters and proponents of EC. I overhear him talking to other dads, describing how happy he is that he has never scraped solid poop off of our sons’ bottoms. He is supremely confident in his dismissal of the notion that children “can’t” control their bladders. My husband holds that conventional parenting essentially trains a child to use their underwear as a toilet, and then makes a multi-billion dollar industry out of helping us “train them” to use a potty at the age when they are most likely to hate you telling them to do anything. EC is not a system of reward and punishment. We do not cheer for children when they use the potty, nor do we admonish “misses” (we don’t call them “accidents” because that implies some sort of right or wrongness to the body). There are no gold stars and there is no coercion. EC is a peaceful and loving way to communicate with your child and to meet their most intimate needs. Practicing EC is the ultimate ‘green’ solution: no landfills to consider, and truly minimal washing machine usage after the first months! EC is fun, it’s easy once you get the hang of it, and babies love to not have urine and feces in their pants; I can promise you that. Imagine never having a child with diaper rash. That’s our life. We started EC with our second son on the second day of his life. He showed the same learning curve as his older brother and was wearing underwear by 15 months, signing for potty before he could crawl, walk, or talk. When we see children being changed in public restrooms, I have to drag my boys away. They stare in amazement; they have no recollection of being laid on a changing table at all and they are fascinated at the sight of children 2,3, and 4 years older than them laying on their backs having a diaper put on them. Like a lot of the parenting my husband and I practice, EC is not for everyone. It is a huge commitment in the early months, but it is not an exquisitely specialized or elitist practice. EC is practiced by women all over the world, and has been the only way to care for a baby’s hygiene in the thousands of years before super-absorbent diapers became something every diaper company thinks you need to have. My husband and I agree that we preferred to put the time in early for the results it produced, and since i was the 24/7 at-home caregiver for the formative years, it worked for us. EC is not impossible if you are not an at-home parent; however, the 'best' results generally speaking come from being in close consistent physical contact and communication with your child. The communication we have achieved with our sons – both of whom were very late talkers – has shown us that non-verbal cues are profound, true, and worth taking the time to learn. 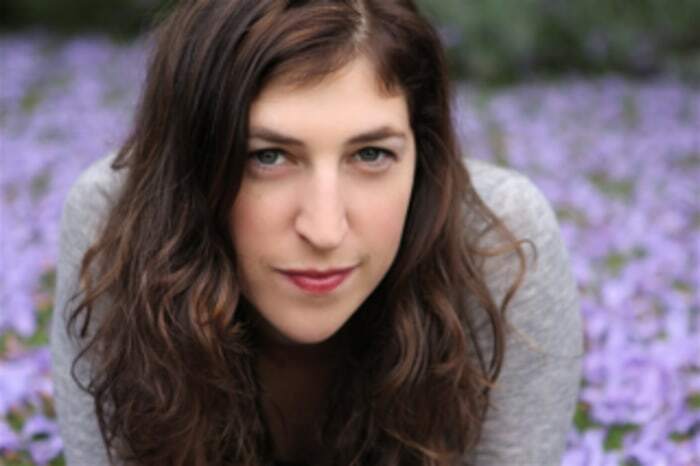 Mayim Bialik starred in the early-1990s television show “Blossom” and currently appears on the CBS sitcom “The Big Bang Theory.” She earned a Ph.D. in neuroscience from UCLA in 2007, and wrote her thesis on Prader-Willi syndrome. The spokesperson for the Holistic Moms Network and a certified lactation educator, Bialik is writing a book about attachment parenting, and she has two sons, Miles, 5, and Frederick, 2. She blogs regularly at TODAYMoms.com and her new book "Beyond the Sling" comes out in March 2012. Women, don't fear home births!